UML Object Diagram is a type of Structure Diagrams that shows the objects of the system and attributes, and relations between the objects at a certain moment of time. 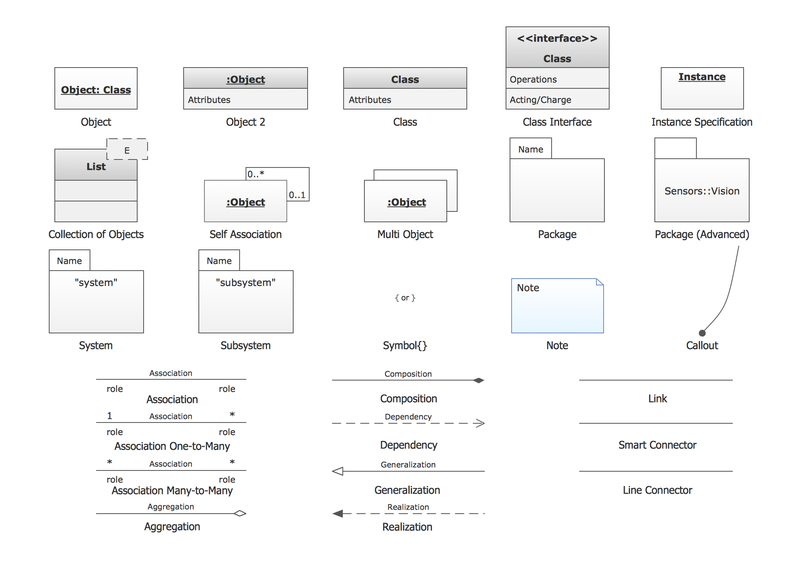 UML Object Diagram represents a specific instance of a Class Diagram at a moment of time. A correlated group of the Object Diagrams shows how the system will develop over the time. Objects and links on the UML Object Diagram are represented by Instance Specification that use the slots to show the object classifier, instance name, attributes and other structural characteristics. One attribute or feature has the one corresponded slot. Links between instances are named as links. You can also use the associations of aggregation (represents as empty diamond) or composition (represents as filled diamond), and other UML entities on the UML Object Diagram. To design an Object Diagram use the UML Object Diagram library. ConceptDraw Rapid UML solution provides UML Object Diagram library of vector stencils for drawing the object diagrams using object blocks and assembly connectors. Use design element from the UML Object Diagram library to draw your own UML object diagrams of complex systems and software applications. Use ConceptDraw Expanded Objects library with 14 objects from BPMN. Expanded Objects are used for rapid design of Business Process Diagrams. Sequence Diagrams shows how objects communicate with each other in terms of a sequence of messages. Also indicates the lifespans of objects relative to those messages. The vector stencils library UML Object Diagram from the solution Rapid UML contains UML specific symbols such as object symbol, association symbols, link symbols, operation symbols for ConceptDraw DIAGRAM v12 diagramming and vector drawing software. 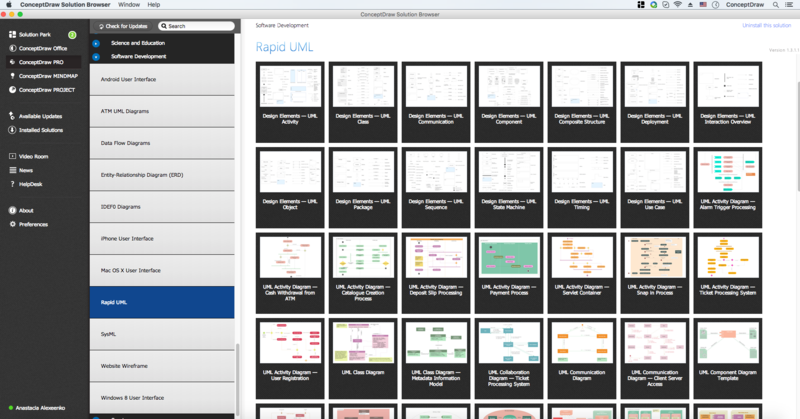 The Rapid UML solution is contained in the Software Development area of ConceptDraw Solution Park.